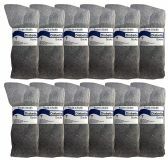 SOCKSNBULK Womens Diabetic Crew Socks Ringspun Cotton For Neuropathy Edema (Black) at low wholesale prices. Socksinbulk.com offers Women's Diabetic Socks at bulk discounted prices. LIGHTWEIGHT: Men's and Women's solid color diabetic crew socks. Lightweight and Non-Binding great for blood circulation. Loose fitting won’t constrict your legs and slips on easily over swollen ankles and feet. The absolute best pair of socks for people who suffer from edema, diabetes and neuropathy. 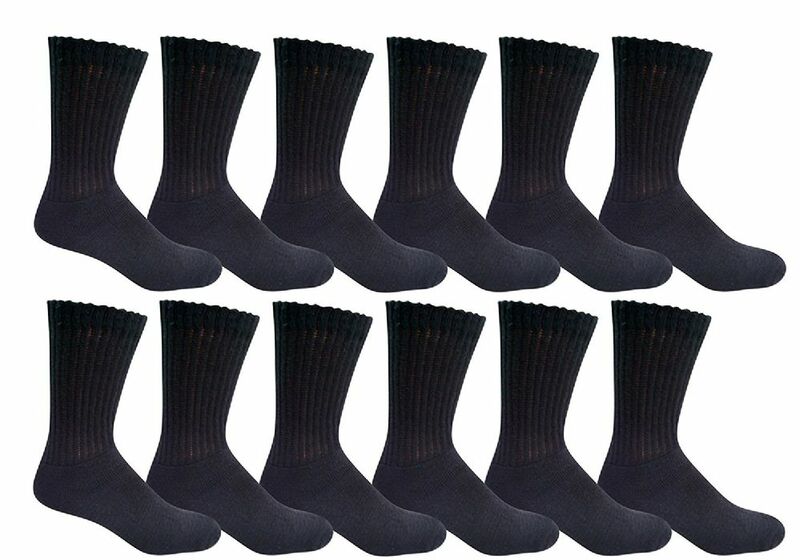 GREAT VALUE: Get a value pack of men’s or womens diabetic socks at an affordable price. This perfect blend of fibers alleviates pain and swelling and makes a great gift for your loved ones.